Ryan Tubridy on what “Enrobed” means? 02/04/19 - To celebrate St Patricks Day and all things Irish, we sent some of our biccies to some well known Irish celebs. 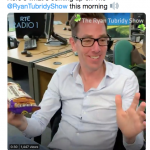 Ryan Tubridy was particularly taken with our “Enrobed” choc chunk cookies, and raised the question “What does enrobed mean?” Officially the dictionary states that “Enrobed” means “to coat (an item of food) in chocolate” … Continue reading "Ryan Tubridy on what “Enrobed” means?" One for Everyone in the Audience! 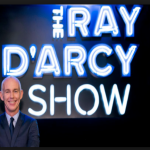 02/04/19 - We’ve also been hob-nobing with RTE’s Ray D’Arcy Show. 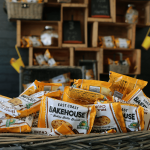 The One for Everyone in the Audience prize last Saturday was a hamper of East Coast Bakehouse Biscuits. Thanks Ray! 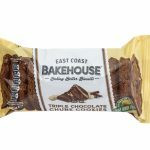 East Coast Bakehouse now available in 22 countries worldwide! 13/12/18 - Since we first started baking biscuits in Drogheda in 2017 we’ve been warmly welcomed by Irish biscuit lovers. 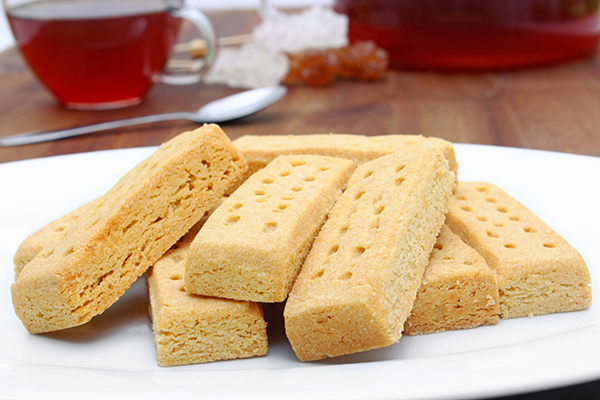 But we’re thrilled that biscuit lovers around the globe are now discovering our “better baked biscuits” for themselves. 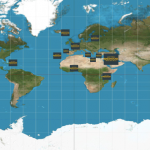 We’re now available in 22 countries including UK, Kenya, Portugal, Cyprus, Australia and even the Faroe Islands! 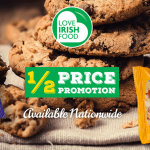 Half price promotion nationwide 12/03/18 - At East Coast Bakehouse our Biscuits are “Better Baked with real Irish butter” at our Bakehouse in Drogheda, County Louth. This month we’re celebrating St Patrick’s Day and our membership of “LOVE IRISH FOOD”, with a half price promotion in retailers across the country. 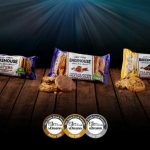 One bite and you’ll taste the rich buttery flavour and choc … Continue reading "Half price promotion nationwide"
Clean Sweep at Blas na hEireann Awards 02/10/17 - We are thrilled to have swept the boards at the prestigious Blas na hEireann / Irish Food Awards 2017. Gold – Milk Choc Enrobed Milk Choc Chunk Cookies Silver – Milk Choc Chunk Cookies Bronze – Oat’ems Milk Choc Enrobed Oatie Biscuits We reckon the judges could taste the Irish butter and Irish oats, which … Continue reading "Clean Sweep at Blas na hEireann Awards"
East Coast Bakehouse at Ploughing 19/09/17 - We are delighted to be going to the National Ploughing Championships at Screggan for the first time. 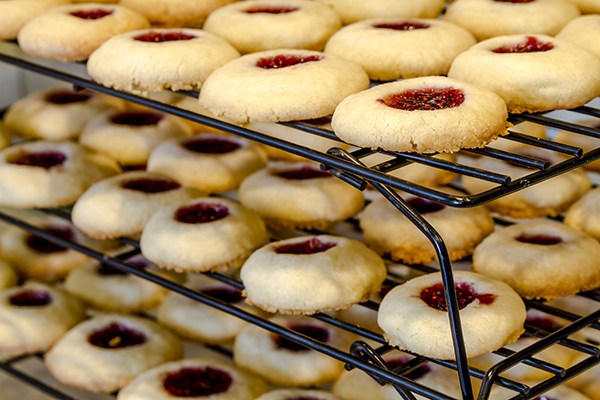 We are located at Block 3 / Row 32 / Stand 665 where you can sample our biccies, meet the team and tell us what you think of our biscuits and cookies. 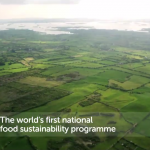 East Coast Bakehouse is a proud member of Bord Bia’s Origin Green Programme 12/09/17 - East Coast Bakehouse is delighted to be part of Bord Bia’s Origin Green Programme – the world’s first national food sustainability programme. We’re also committed to ensuring that we are a sustainable producer, taking care to develop our processes, sourcing policies and ways of doing business that have minimal impact on our environment. 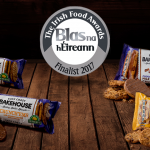 We’re working … Continue reading "East Coast Bakehouse is a proud member of Bord Bia’s Origin Green Programme"
East Coast Bakehouse a Blas na hEireann Favourite 15/08/17 - We are thrilled to be have four of our tasty biscuits shortlisted for the Blas na hEireann Irish Foods Awards. Baked using pure Irish butter and Irish oats our biscuits are going down a treat with consumers and now they are a firm favourite of the expert taste panels of Blas na hEireann. Four of … Continue reading "East Coast Bakehouse a Blas na hEireann Favourite"
Win Tickets to Bloom 24/05/17 - East Coast Bakehouse is delighted to be attending Bloom in the Park this June Bank Holiday Weekend (1st June – 5th June). 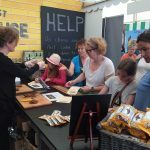 Come by and visit us at our stand in the Love Irish Food marquee (beside the Cooking demonstration in the food village) where you can sample and buy our delicious biscuits and cookies … Continue reading "Win Tickets to Bloom"